Is All the Losing Worth It for the Bobcats? So what would be worth a record-settingly uncompetitive season of losing? As a fan, it’s really tough to justify why the Bobcats would be so terrible. The chance to select the next mega-talent in the 2012 Draft is nice. Freeing up some cash to sign one or two upper-tier free agents wouldn’t be so bad, either. Maybe, someone could argue that playing time for some of the Bobcats’ youngsters will develop them into solid players down the line. It’s all kind of hypothetical, so let’s hope the Rich Cho Rehab Plan works out. After seeing the Oklahoma City Thunder absolutely dismantle the Chicago Bulls on Sunday, I can only dream that we see the Bobcats shine so bright on national television in the future. The Thunder are the success story, while the Sacramento Kings or Washington Wizards might show you the other side of the coin. Hopefully, Rich Cho’s involvement with the Thunder/Sonics right before they got it going will result in the same amazing kind of turnaround for Charlotte’s suffering franchise. When it comes to free agency, we should just take two steps and jump straight to the point. Dwight Howard’s not coming. Deron Wiilliams wouldn’t be worth the trouble even if would join the club. No superstars are targeting the Queen City, but a load of mid-level talent could find a a club like the Bobcats a good place to show their skills if they can be sold on the team’s direction. Some role player types like Matt Barnes, OJ Mayo, or Marco Bellinelli might see the Cats as a good fit for their career if the team shows that they’re putting the right pieces into place. If the front office could pull the strings, they might even land a player like Nicolas Batum or Ersan Ilyasova that could breakout and veer toward All-Star status one day. So, rather than betting it all on the NBA Draft Lottery ping-pong balls over the next few years, a few smart steps in free agency could leave the Cats with a bit more control over their destiny. Alternately, an argument could be made that a star player would be well worth this embarrassing season. Honestly, the Bobcats could really use some luck in this game. Despite their regular appearances in the Draft Lottery, Charlotte just can’t catch the big one. It’s a shame to think that Dwight Howard, Chris Paul, Kevin Durant, Kevin Love, Blake Griffin, and Derrick Rose have all landed in the league since the Bobcats’ first tip in 2004, and Charlotte didn’t snag one of them. 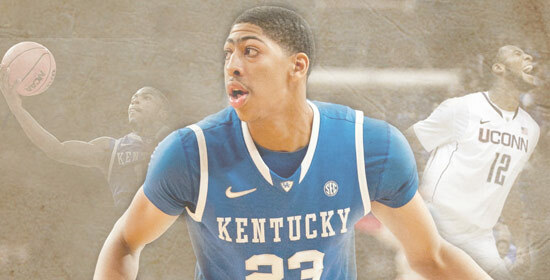 Will Kentucky’s Anthony Davis prove to be worth this embarrassing season? He’s putting on a show right now in the NCAA Final Four. As Bobcats fans, we’re probably all hoping to catch a legendary performance in Monday night’s Championship game. Could Davis suit up as a Bobcat, and play like the next Chris Bosh? Would that scenario make us all forget about how bad the Bobcats were this season? And if the Bobcats don’t get the coveted first pick, does any other player help to ease the pain? Davis’ teammate Michael Kidd-Gilchrist or Connecticut’s Andre Drummond wouldn’t be bad consolation prizes. Whoever the Bobcats might pick, the team will need him to be a guaranteed starter and a potential All-Star – someone that can sell jerseys and win games. That’s not so much to ask, right? POLL : Does a Top Draft Pick Justify This Season? The Bobcats scored another win, 100-92, over the visiting Oklahoma City Thunder on Wednesday night. The Cats had to overcome an awful start that had them down by as much as 19 points late in the second quarter. Stephen Jackson led the Cats in scoring with 20 points; Kevin Durant led all scorers with 26. The Bobcats poor start seemed to be due to a general malaise; meanwhile, the Thunder were making it all look so easy. The trio of Russell Westbrook, Jeff Green and Kevin Durant did most of the damage as the Thunder built their big lead. But the Cats woke up for a quick 11-0 run in the last couple minutes of the second quarter to seize the momentum. They kept it going in the third quarter, winning the frame 30-19 and overtaking the Thunder for the lead. As usual, the run was keyed by the defense. When the Cats weren’t racking up blocks inside, they were forcing contested jumpers outside. Durant may have led all scorers with 26, but he needed 26 shots to do it (9-26 FG, 0-7 3PT). The Thunder threatened briefly in the fourth quarter, cutting the Bobcats lead down to one at one point. But Stephen Jackson soon responded with a three and the Cats were able to keep the Thunder at arms length the rest of the way. Dude gets his own section. After setting a new career high in last night’s loss to the Pacers with 19 points, Graham got another start for the injured Gerald Wallace… and responded by tying his new career high with 19 again (7-9 FG, 1-1 3PT, 4-6 FT). Graham added 5 rebounds and a block to go along with his efficient offensive performance in 30 minutes of playing time. In the three games Graham has started for Gerald, he is averaging 16.6 points and 6.3 rebounds in 30 minutes per game. Huge. In case you missed it, the NBA’s board of governors unanimously approved Michael Jordan’s bid to but the Bobcats today, so it’s all nice and official now. Speaking of, apparently bobcats.com will be posting a Q&A with His Airness in the morning, while Stephanie Ready has scored the first on camera interview since he became owner; this will air during the Hawks game Friday night. The Cats are now 35-32 overall (25-8 at home) and alone in 6th place in the East. 5th place Milwaukee just lost, which brings the Cats to within a game-and-a-half of them. Behind the Cats, the Heat were off Wednesday and are just a half game back. 8th place Toronto won a thriller to keep pace, while Chicago lost their ninth in a row to fall further out of the race. The Bobcats (and Gerald’s ankle) have a day off before a tough Southeast Division road back-to-back in Atlanta and Miami on Friday and Saturday. Good luck, Cats. The Charlotte Bobcats have yet to establish a rivalry since their arrival into the league. They may possibly make a fuss about anyone stealing their ownership of the fourth spot in the Southeastern Division, but nothing has formed into a furious dispute between organizations/rosters/cities. Rivalries help teams identify themselves, as much as they help to identify the enemy. And this team really needs to define an identity any way it can. Something tells me that Gerald Wallace understands this and that snazzy little “5” badge on the Bobcats jerseys has prompted him to build the rivalry fire in a timely manner. The Bobcats might not reach the playoffs, but they’ll at least piss someone off this season. The expansion Bobcats seem to wanna be startin’ somethin’ with the the league’s newest team. 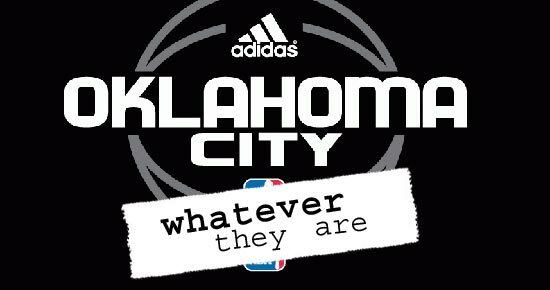 The Oklahoma City whatever they are – ? Sounds like fightin’ words. This sounds like the way the Rock would dismiss his opponent on SmackDown. I knew Raja Bell would bring some attitude to this team. Now, the Cats are on the prowl – for the easiest fight possible. 1. Two in a row! The Bobcats took care of business at the Cable Box tonight, defeating the Thunder 103-97. AP story here, box score here. 2. The exclamation point in the previous item was kind of forced. This game was an absolute sleeper. The Cats clearly looked like the better team all night, and did just enough to keep Durant and company at bay. I’m not sure if we should be disappointed that they never were able to definitively put the Thunder away, or impressed that they won in such ho-hum, business-like fashion. A little of both, probably. 3. There are no wildly impressive lines in the box score, and that pretty much jibes with my experience of the game. No one really dominated. That said, Emeka Okafor certainly deserves special mention. He led the Bobcats with 25 points (8-11 FG, 9-12 FT) and 13 rebounds (6 offensive). Very efficient game for Mek tonight. As opposed to Monday night, they weren’t really looking for Mek in the post tonight – most of those shots were putbacks and layups. He was the beneficiary of more than a few of Raymond’s 12 assists. 4. Sean May had what was easily his best game of the year, going 27 minutes and grabbing 11 boards to go with 10 points. Much to my surprise, he can still dunk and did so off a feed from Raymond early in the third. Overall, May is still a quarter-step slow and still has a lot of rust to knock off, but this game was certainly a step in the right direction. 5. J-Rich had a very average game (18 points on 16 shots) but did pass 10,000 career points and got a nice hand from the crowd. 6. Larry Brown has really tightened up his rotation in the past couple of games. Nazr Mohammed and Ryan Hollins were inactive tonight; neither Matt Carroll nor Alexis Ajinca got off the bench again tonight. And Shannon Brown, Adam Morrison and Dwayne Jones only had brief stints in the first half. 6. Other than Kevin Durant (who had 24 effortless points and is clearly a special talent) and Russell Westbrook (who has a lot of potential, but is too raw to contribute in any meaningful way), the Thunder look like a bunch of role players. Mouhamed Saer Sene, Johan Petro and Robert Swift, where are you!?!?!? 7. Next game: Friday night in Milwaukee. Go Cats!